How to Study Law examines Sources of Law, Legal Method and Legal Study Skills. 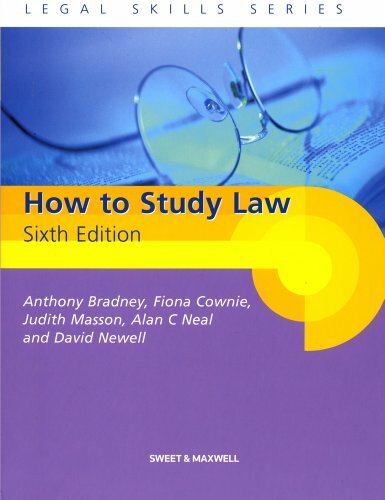 With useful worked examples, case studies and exercises and helpful flowcharts and diagrams, the sixth edition of this popular text takes a practical approach to demonstrate how to find, read and analyse a variety of legal materials - cases, statutes, articles and books - online and in print. Expanded sections on writing assignments, revision and exam skills and a new section on presentation and oral skills ensures that the vital foundations for successful study are laid.